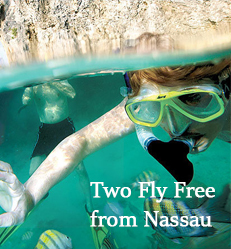 PRE-BOOK an air-inclusive vacation for 4 – 6 consecutive nights at a participating hotel (single or double occupancy) and get one free R/T airline or ferry ticket from Nassau; PRE-BOOK an air-inclusive vacation for 7 consecutive nights at a participating hotel and get two free R/T airline or ferry tickets from Nassau. 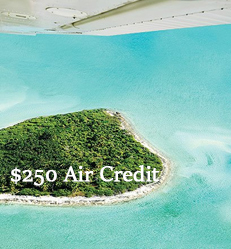 PRE-BOOK a 2-night stay at any participating Bahama Out Islands Promotion Board member hotel and receive a $150 Fee Credit. 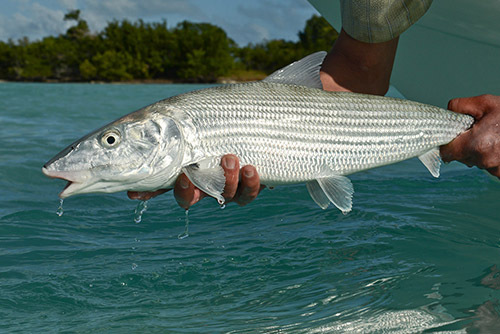 Stay for 4 or more Nights with 3 or more Days Guided Bonefishing or Snorkelling Package and get 5% off package prices. 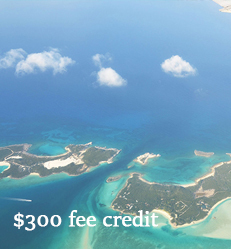 Plus One Free round trip Airline Ticket per room or Two Free Tickets for 7 or more nights from Nassau to Andros. Black out dates apply. Offers for new package bookings only. 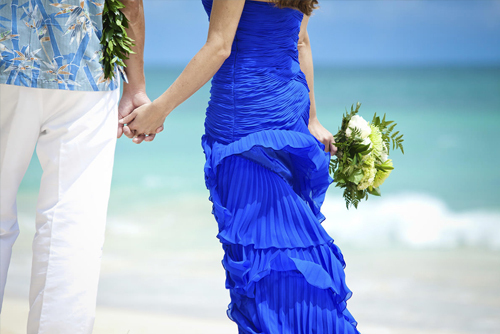 A Four (4) night package starting at $2,250 per couple to include, free airline tickets from Nassau, airport transfers, a welcome drink, beach view room, meals, bar drinks and beverages, beach picnic lunch with tropical drinks, nightly hors d’oeuvres, use of kayaks, bikes, snorkel sets and more. This offer is available to US & Canadian residents only. 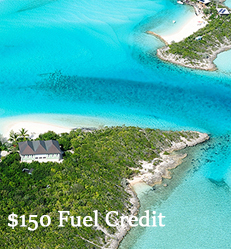 Book a 4 – 6 consecutive nights at a participating hotel (single or double occupancy) and get one free roundtrip airline or Bahamas Ferries ticket from Nassau; book an air-inclusive vacation for 7 consecutive nights at a participating hotel and get two free R/T airline tickets from Nassau. Flights and/or Ferry must be booked with hotel stay to take advantage of this offer.